Nicodemus has an unwavering commitment to the transformation of youth and lives a life reflective of those ideals. Nicodemus is currently the program manager for the Rural Professional Learning and Math Placement Network with Pivot Learning. I was never that good at math—but I had a deep desire to become not only proficient, but exemplary, especially in calculus. In my high school, I was one of only a few African-American students. I completed three years of math, and worked tirelessly solving equations in my trigonometry course only to end up with mediocre grades. The school offered few resources to accelerate my academic growth in this pursuit. Nevertheless, I graduated from high school and went to college. I eventually earned a graduate degree in Education and taught for five years in a school in inner-city Detroit. Many students in California are faced with the opposite challenge. 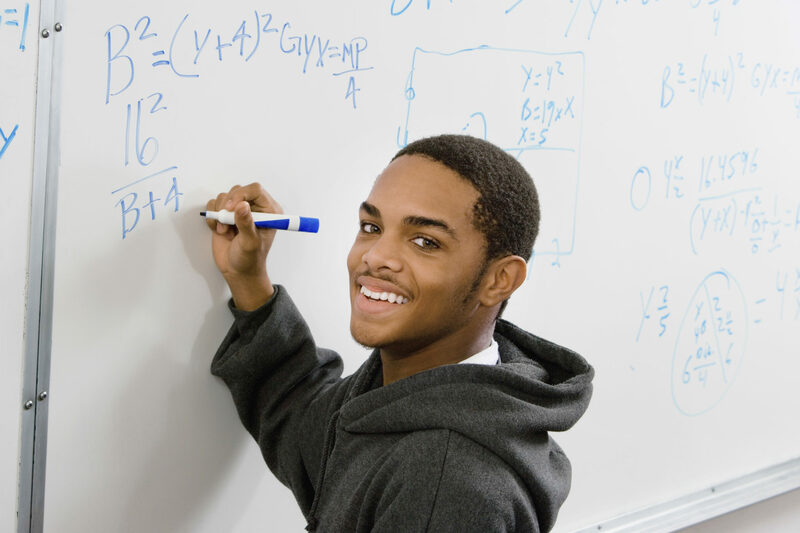 A 2010 Noyce Foundation study titled “Pathway Reports: Dead Ends and Wrong Turns on the Path Through Algebra” found that approximately 65 percent of students who took Algebra I in eighth grade were made to repeat the same course in ninth grade. Additional research revealed that these misplacements were particularly notable for African-American and Latino boys, and posed challenges for high school students, affecting their opportunities in college, careers, and life. To address this issue, in 2015 Senator Holly Mitchell (D), with support from the Silicon Valley Community Foundation, worked to pass the California Math Placement Act. Governor Jerry Brown signed legislation in that same year requiring school districts to design equitable policies that “systematically take multiple, current or existing, objective measures” to ensure students are advancing to the next prescribed course in the mathematics progression. Since the law was passed, most school districts in California have struggled with its implementation. The East Side Alliance (ESA), which consists of eight partner districts that together serve nearly 85,000 students in seven elementary schools and one high school district, has been at the forefront of that work. Even before the Math Placement Act was passed, ESA members worked collaboratively through the Student Algebra Project to ensure equitable outcomes for all students. State policies, particularly in education, succeed or fail in implementation at the school and district levels and the California Math Placement Act is no exception. The Math Placement Practices Network, facilitated by Pivot Learning and funded by the Silicon Valley Community Foundation, began working with ESA early this year to design and sustain a network of schools. This work has focused on developing a shared problem of practice to effectively implement the state’s policy–specifically to improve existing pathway criteria so that all students are placed appropriately. Particular attention has been centered on ensuring English Language Learners, students with special needs, and students of color are supported and challenged. We have been working with five ESA school districts: Alum Rock, Mount Pleasant, Berryessa Union, Franklin-McKinley and Oak Grove. In the Eastside Alliance, all 9th grade students are placed in Integrated Math I or II. However, not all students are successful in this placement. In middle school, students need to be better prepared to be successful in this placement. There is an under-representation of students of color, English Language Learners, and students with special needs in the advanced pathways in middle schools. The current set of criteria is working for placement for some but not all students, schools, and districts. We need to determine why and if/how the criteria might be modified. Our partner districts are focusing on these final two sub-problem areas and are also examining the pathway criteria to address the under-representation of students of color and other sub-groups in advanced middle school pathways. To approach this work, we introduced Change Design, a process for moving from our shared problems to developing solutions and achieving our goals. Pivot has leveraged this model (inspired by IDEO and Stanford University’s d.school) to solve major system design challenges with schools and districts for the past several years. Our final meeting with the network this year fused the change design process to develop individualized action plans for 2017-18. Our network will also utilize Collaboration in Common, a state-endorsed online portal, to share best practices and resources across districts to address our collective problem of practice. Success for our students, particularly our African-American and Latino students, will depend upon equitable systems and protocols particularly as it pertains to math pathways. The Math Placement Practices Network convenes dedicated and committed educators working actively to ensure we guarantee this success for all students. For more information about our networks, please contact us.